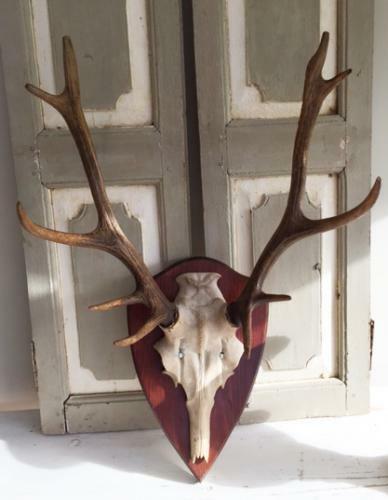 Hansome set of Antique Mounted Antlers. Very unusual as the skull is actually original and made of cast metal (though you woud not know) with Deer Antlers fitted. Very nice oak shield too.